In the wake of the sad news about the shooting of two young people in Detroit as they handed out leaflets urging residents to vote, youth-based mobilization activity has stayed strong elsewhere. In East Flatbush, reports New York Amsterdam News, a car blasting “Vote Equals Voice!” on the street drew interested potential voters to young volunteers working with East Flatbush Village, a community development group. East Flatbush Village has almost 50 youth volunteering to register voters at pop-up sites and assist at local polls. The organization has created a series of pop-up voter registration drives over the past month to improve the district’s stake in local elections. Common Cause New York is working with the community group to provide training to the young volunteers on site at the organization so that they can help residents navigate a myriad of potential barriers to voting early next week. Among other things, they check registrations, polling locations, and eligibility. Indeed, many analysts believe that youth will matter very much in this election, both as organizers and as voters, though the jury is still out on whether or not the young vote will get to the polls in the numbers that are predicted by some. 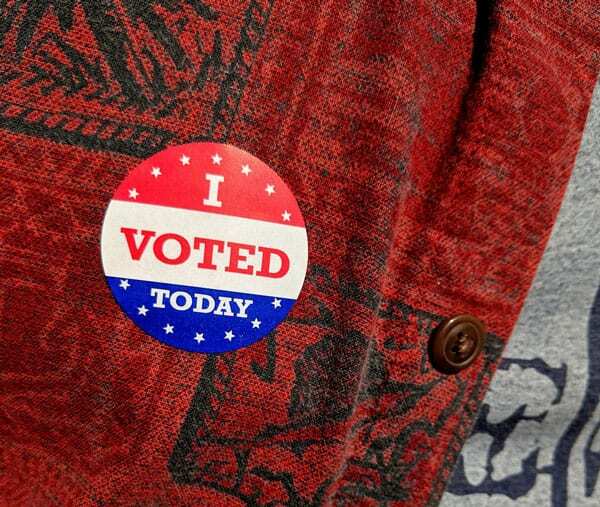 A new poll from the Harvard Institute of Politics, for instance, finds that 18-to-29-year-olds are far more likely to vote in Tuesday’s midterm election than they were in 2010 and 2014, with 40 percent saying they would vote next Tuesday. The turnout of that vote could be pivotal because President Trump’s approval rating among potential voters under 30 is 26 percent, and for them, immigration and refugees are at the top of their collective list of concerns, followed by jobs, Trump, and healthcare. At the same time, there has been a clear upsurge of candidates in their 20s and 30s who are carrying the hopes of many for a different potential political landscape, and this confluence of factors may result in a significant shift in some major races. For instance, in Florida, where Democrat Andrew Gillum is the first African American nominee to run for governor, young people appear to be excited by his candidacy and platform, which includes single-payer healthcare, LGBTQ equality, and addressing climate change.